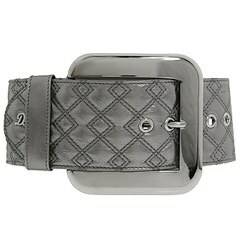 Wide belt in quilted metallic calf skin leather. Logo detail completes the look. ; 3.5. Made in Italy. Free shipping in the USA.